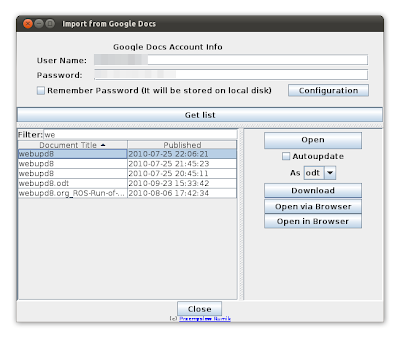 Ooo2gd is an OpenOffice addon which you can use to keep your documents synchronized with Google Docs, Zoho and WebDAV servers. You can either manually select to upload a file to Google Docs / Zoho when you're done editing it or you can select to automatically synchronize it. Besides keeping the local files you're working on synchronized with these web services, the extension also allows you to import files which already exist on the server (Google Docs, Zoho, WebDAV) and either open them in a web browser or directly edit them via OpenOffice. 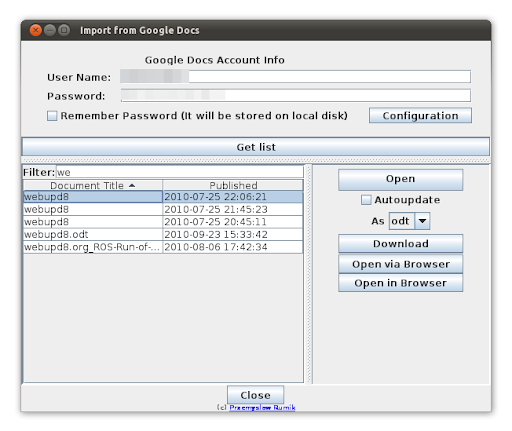 For the Google Docs username, enter your email address as it seems only using your username fails sometimes. 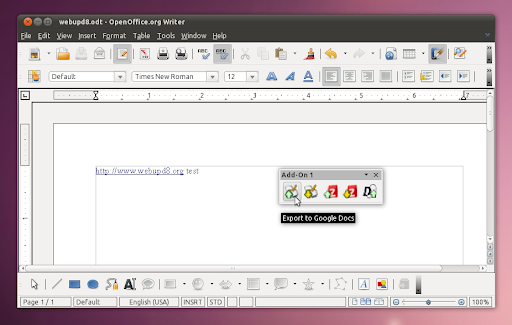 Notes: Ooo2gd works with OpenOffice.org 2.0.4+ or StarOffice 8+ and requires Java 5 SE or newer. 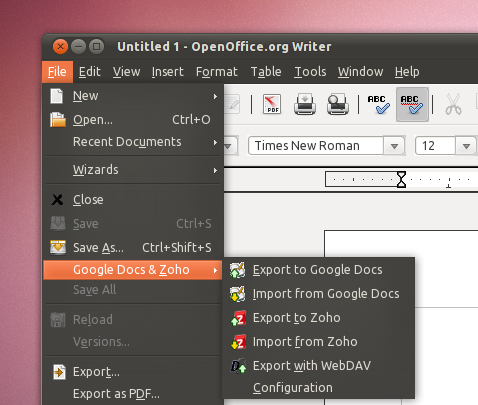 I've tested it on Ubuntu 10.04 Lucid Lynx with OpenOffice 3.2.1 and the Ooo2gd import/export is working properly with Google Docs and Zoho (WebDAV server not tested). Update: it also works in Ubuntu 10.10 (I've just tested it).